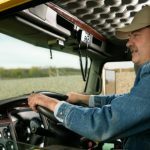 When you start a career as a truck driver, one of the decisions you will have to make is whether you want to drive solo or if you should drive as part of a truck driving team. There are pros and cons to each kind of driving, and no one answer works for every driver. Which is the right fit for you? These factors will help you make up your mind. Team drivers can make more money. There is more money to be earned as a team driver, simply because you can keep the truck moving for longer. There are very strict rules about the hours that a driver can drive before needing to rest. As a solo driver, that means that your truck is out of commission for long portions of the day. As a team driver, your truck can keep rolling almost continuously, so since you will take turns behind the wheel. Team drivers also carry more loads in a given period than solo drivers since they can cover more ground faster, which also adds up to more pay. Solo driving lets you be the boss. Driving as a team means you’re doing everything with another person. That means you can’t always control where and when to stop for food, how to schedule the day, or what radio station to pick. As a solo driver, you have the flexibility to spend your time the way that you see fit. For some people, the idea of spending so much time together with another person is overwhelming. If you envision a career as a truck driver because you like to work independently, then team driving is unlikely to be a fit. Team driving can give spouses a chance to work together. If you’re concerned about spending long stretches away from home, team trucking with your spouse is a good solution. Many couples hit the road together, earning more money by working together without the stress of being separated while one is hauling a load. If you’re worried about how trucking will affect your spouse, working together may be the solution. Phoenix Truck Driving Institute will prepare you for making the right decisions about building a career in the truck driving industry. Learn more about enrolling at our truck driving school in Phoenix by calling (877) 295-5372.